The Venue in downtown Eau Claire. Thunderlung’s self-titled EP is the first release from the group, offering a mix of progressive and ambient stoner metal in five blistering tracks. Starting production in May 2017, the band has been working hard on its first offering and it shows. While the EP only contains five tracks, the entire album clocks in at just over 33 minutes, so there’s plenty to enjoy. 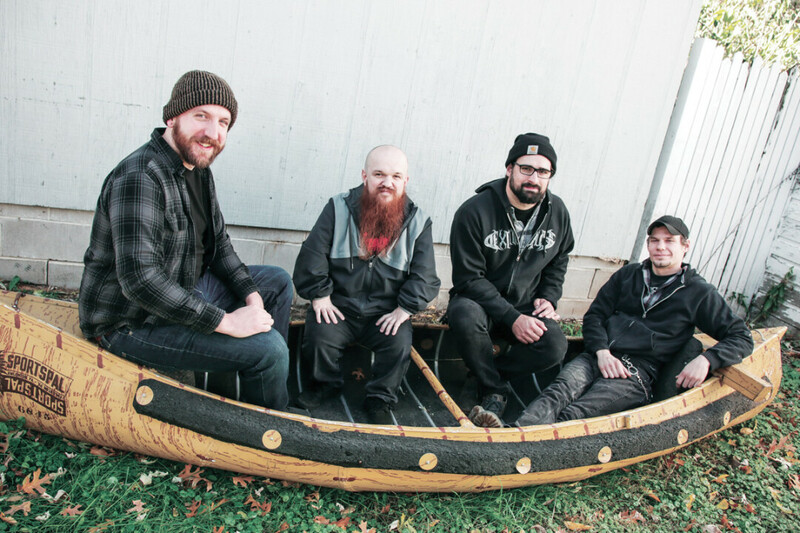 Procrastination was the biggest hurdle for the group while recording, Bassist Kyle Arnette said, but they are excited to gain new listeners once the EP is released. Tracks like “The Hightower” and “I Am The Mountain” deliver a heavy dose of stoner metal with Viking metal hiding just underneath the surface. It isn’t until you get to later tracks such as “Of The Stone” and “From The Belt Of Orion” that you really start to see the band’s progressive metal roots shine through. Longer arrangements and odd time signatures give these tracks more of an ambient tone, delivering a groove that gets stuck in your head. The EP wraps up with “Reawakening,” a great song with a full sound that brings the listener to the end of their sonic journey. Here, all the previous elements of the recording come together into a conclusion that highlights the band’s talent. Lyrically, Thunderlung seems to tell one long story over the entire EP. Each track delivers another chapter in the tale of a creature that has been destroyed, then brought back to life through various means across the universe. This creates a thematic flow throughout the album that is quite enjoyable to imagine. The album is ambitious for a first release, but it pays off. You can tell the group took its time, crafting each track until it melded with the others to form one cohesive piece. The production is very well done on this recording, a good start for a band that just entered the studio for the first time. There’s a lot of guitar work on each track, and the mix is properly balanced to let it shine through without overpowering the drums or bass. The drumming on this project is excellent, mixing with the low end to create a tight groove that lays the foundation for the group to build its unique blend of metal. There’s no absence of effects on this EP either, but they’re done tastefully. Arnette touched on the fact that since Thunderlung has started playing shows, they’ve received a lot of support from the small metal community in Eau Claire. The group hopes to build on that momentum, and plans to keep writing new material and playing shows once the EP is released. Listeners will be able to find the album on all major streaming platforms, and can also be bought from the band directly.